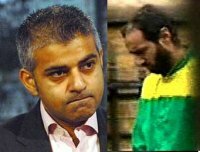 On July 12, 2006, a month after writing on his website that he had known Ahmad for 15 years, Khan told a House of Commons debate on the UK-US extradition treaty “Babar Ahmad is of a similar age to me and, like me, he was born and raised in Tooting. I have known him on and off for the past 12 or 13 years.” How long is it exactly Sadiq? The added detail is the most interesting – it was stated he was “acting as a constituency MP”. So Gordon Brown’s spokesman and Babar Ahmad’s even own sister Sara have claimed that Khan and Babar were friends since their childhood. However Khan told constituents in 2006 that he had only known him for a fifteen years and told Parliament that it was even less time. But what did he tell the prison authorities? Why are there three versions of the story? Given Khan did not tell the prison authorities he was an MP when visiting Ahmad in 2005, why was the PMOS briefed, presumably by Khan himself, that he was there on parliamentary business? Does he have any further connection to Ahmad, or his family, be it by blood or marriage, that has not yet been declared publicly? Will today finally be the day we get some answers?